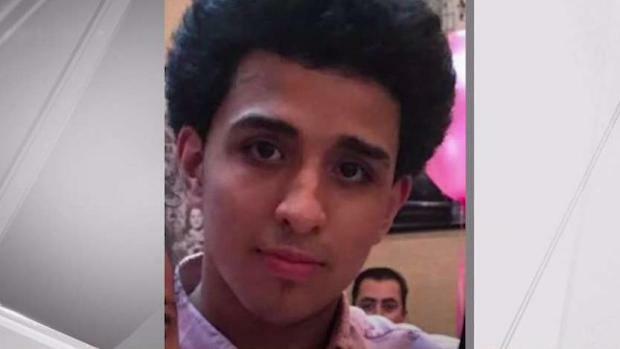 A pair of cryptic text messages have led to a two-day search for a missing young man at a Long Island park in connection with an ongoing investigation into crimes allegedly committed by the gang MS-13, a law enforcement source tells NBC 4. Greg Cergol reports. Officials believe the young man -- who has been missing since June 28 -- may have died at the hands of the MS-13 gang, the source said. 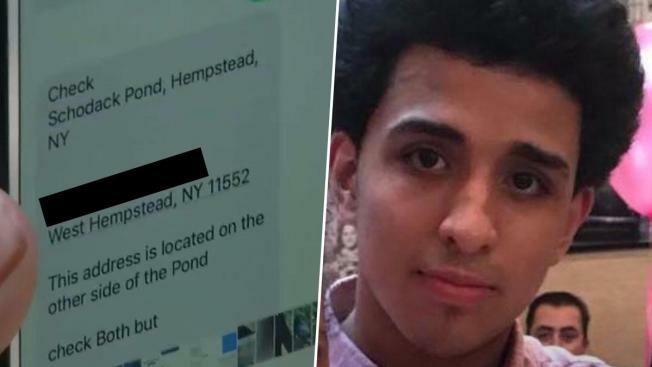 The search was sparked after his family said they received the texts -- which say in part for the family to "check" a series of addresses near Schodack Pond in West Hempstead -- from an unknown source on Sunday. A cadaver dog had been brought in to search a Long Island park after a teenage boy went missing. Greg Cergol reports. On Monday morning -- day two of the search --Germosen's family was holding vigil at the park in the town of Hempstead. Family members told NBC 4 that the teen loved music and basketball, but they feared he had started associating with gangs.